Twenty seven years ago a group of women got together to organise a weekend for women that focused on fun rather that politics. 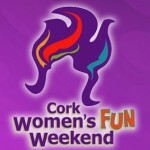 Now, 27 years later the Cork Women’s Fun Weekend is still going strong, attracting women from all over Ireland and the UK. The annual weekend usually takes place each year around the May bank holiday weekend.